Flexitricity’s experience, when initially discussing demand response with a Facilities Manager or Energy Manager, is that most understand fairly quickly the requirement for demand response and the methods by which it can be delivered. But my dear old Mum? Not so easy. Given we were on the threshold of the annual “get fit” advertising madness, the analogy which helped the penny drop was this: just as we all look to maintain a healthy body weight, so National Grid has to maintain a healthy supply of energy. To maintain a healthy weight, you can (a) reduce calories, (b) exercise more or (c) do both. Similarly, to provide demand side reserve, participating companies can (a) reduce consumption, (b) generate more or (c) do both! I continued the theme, explaining that reducing consumption can often be viewed as an easier option for industrial and commercial (I&C) sites; turning down consumption or turning off processes for a few hours for STOR is like putting your dinner on a smaller plate, or cutting out the potatoes or chips. Not too great a sacrifice for fair reward. And so it is with load reduction or curtailment at industrial and commercial (I&C) sites. The challenge here can be where a site is already working to their lower limits, the load reduction is relatively small or the reduction cannot be sustained for the required duration. National Grid’s requirement for fast-acting reserve energy (the frequency services of FFR and FCDM) is the classic “skipping a meal”: immediate and very effective, but only to be used sparingly. 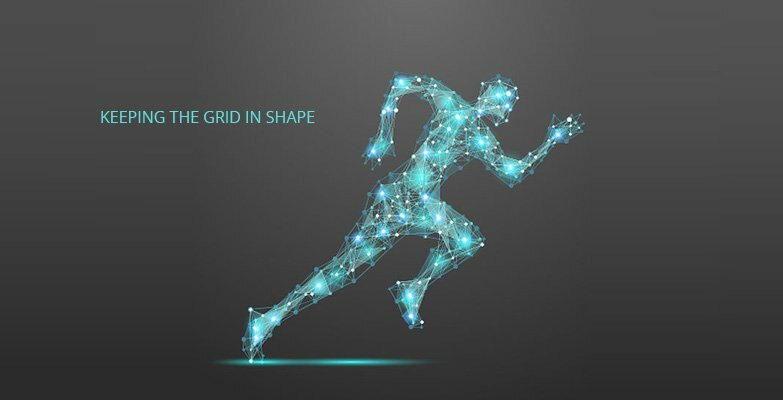 Demand response fulfilment through on-site generation is like the exercise side of the equation, and there are different types of exercises that help maintain a healthy weight. Stretching (excuse the pun) my analogy to the limits, utilising diesel generation is akin to performing star jumps – wholly effectively but only sustainable for a limited time. Gas CHP generation is like the recumbent gym bike – easier to sustain for longer periods, and ultimately has the same effect in balancing that weight. As an aside, the parallel that springs to mind with triad management is the infamous 5:2 diet. The plan where you know you’re going to consume next to nothing for a number of specified days in each week. With triad management, the goal of not consuming from the Grid during certain half-hourly periods in late winter afternoons is sustainable – but only for a limited time (November through to February) because the returns make it worth the effort. By springtime I’m sure many sites breathe a sigh of relief that triad management is over for another year. So I told my Mum, at Flexitricity we help ensure National Grid has the means by which to stay balanced. We offer the widest range of services via our participating contracted sites; from load reduction and curtailment, to generation by multiple types of embedded generation. We are ever mindful of the business operations of participating sites, and provide the maximum support to whichever regime they can provide. Ultimately we know that a healthy balance is only achieved through a combination of solutions, which means we can work a “personal fitness plan” for every participant. That’s why we remain the foremost demand response provider in the UK.